Does someone dear to you love to fish? This would be a fabulous gift for them, or think Father's Day! What better accessory for your wife, husband or a dear friend! 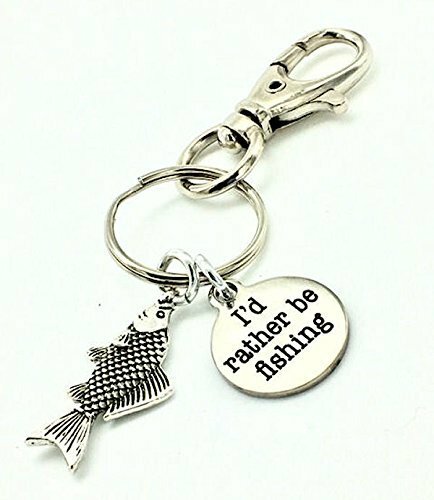 This wonderful keychain features a laser etched, 3/4" stainless steel disc along with a silver- plated fish. The key ring with clip easily attaches to any set of keys, purse or a backpack. Overall length is 3-1/2". If you have any questions about this product by Jesse Janes Jewelry, contact us by completing and submitting the form below. If you are looking for a specif part number, please include it with your message. Sweet 16 keychain, Gift for sweet 16 birthday.